Are Your Facebook Friends Damaging Your Credit Score? According to CNN, your Facebook (FB) friends could now affect your credit score. The majority of lenders have traditionally depended on credit scoring agencies such as FICO, who base their data solely on payment history. However, companies like Lenddo, are beginning to integrate social media into their data and believe it will help determine whether someone will pay back a loan. If you happen to be friends with someone who was late in paying a loan back from Lenddo, then it could negatively affect yours. And if this perhaps happens to be someone you have frequently interacted with on Facebook, the consequences will be worse. Lenddo currently has 250,000 members, but does not operate in the United States. The company presence is currently limited to the Philippines, Mexico, and Colombia. Kreditech, a German tech company, calculates over 8,000 data points to determine one’s credit. Although they take data from Facebook, Ebay, and Amazon accounts, this information is just a small piece in a bigger picture. The company also factors in details such as how long a person takes filling out an application and even whether a person types in all-caps or no caps. Facebook, on the other hand could also help improve one’s credit score. Kabbage, an online company that gives cash advantages to small businesses, gives members the option to link up their Facebook and Twitter accounts. If they agree to do it, it can help boost their Kabbage score. According to Kabbage, a business or company that offers customer service on Facebook and Twitter is 20 percent more likely to pay back a loan. Kabbage estimates that it will give out 75,000 cash advances this year. 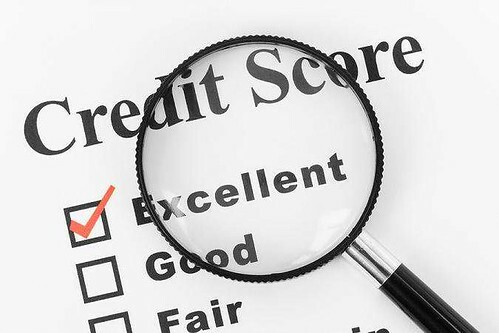 While this new method of determining credit scores is gaining steam, not everybody is on board. The CNN article points out that people can easily manipulate the system by defriending people with bad credit and also add people who have desirable credit scores.